Details are emerging in bits and pieces about Lew Wolff’s new lease extension at the Coliseum, which the Coliseum Joint Powers Authority (JPA) will vote on next Friday, June 20. * Wolff and John Fisher reportedly would pay around $1.5 million or $1.6 million in annual rent. * The lease is really a year-to-year deal because Wolff and Fisher reportedly can sever the lease ANYTIME, as long as they give a year’s notice and pay off the remaining money left on the deal. Meaning, the deal is not a true “10 year-lease.” If they sever the lease with 9 years left, for example, they owe more than $13 million and if they sever the lease with one year left, they owe roughly $1.5 million or $1.6 million. * The deal reportedly allows Wolff and Fisher keep at least $5 million in parking revenue that they still owe taxpayers, but but never paid. This clause essentially takes $5 million from taxpayers and gives it to Wolff and Fisher, who reportedly have averaged about $20 million in profit each year from the A’s. * In return, Wolff and Fisher give one thing to the JPA and one thing only: they reportedly will pay for a new scoreboard. * Wolff told Purdy that one of the conditions is that Oakland/Alameda County must drop Howard Terminal as a ballpark site. We have to ask, why? If the site is so unviable, won’t it die a natural death? Wolff’s requirement doesn’t add up, unless he fears Howard Terminal’s viability. * Also, Wolff and Fisher reportedly have made no solid commitment to Oakland in the new deal. They instead agree to unenforceable contract language saying they will make a “good faith effort” to find an Oakland site for the A’s. But, we have learned that that condition reportedly is non-binding: in other words, it’s lip service and there’s no measure for enforcing it. * For many years, Wolff and Fisher reportedly have received more money than the Raiders in Coliseum signage revenue and from in-game concession sales. Wolff and Fisher even get a percentage of concession sales sold at Raiders games. This lease extension reportedly continues that imbalance of sharing splits, skewing it again in favor of Wolff and Fisher. * According to Mark Purdy, if the Raiders and Oakland/Alameda County strike a deal for a football stadium at the Coliseum site, then Wolff and Fisher can break the 10 year lease, presumably with no buyout fee. 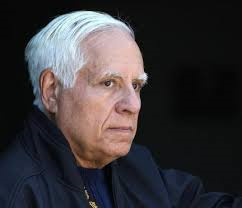 * The city/county elected officials seem to hope that this extension will lure Lew Wolff to commit to Oakland. Sorry, he’s had 12 years to do that and he never has. At this point, we don’t think he ever will and bending over backwards for him with this bad lease extension won’t do the trick, either. Wolff’s and Fisher’s sweetheart lease might get even sweeter if this contract passes. We believe it will be a raw deal for Oakland/Alameda County fans and taxpayers because it gives away millions of taxpayer dollars to billionaires, Lew Wolff and John Fisher. The extension’s current terms also would provide more of a threat to Oakland’s chances of keeping both the A’s and Raiders than assistance toward that goal. In other words, this would be a bad deal for everybody. That’s why we strongly urge the JPA and all other elected city and county officials to revise the proposed lease extension terms before approval. If the deal can’t be revised, then they should reject the extension altogether.